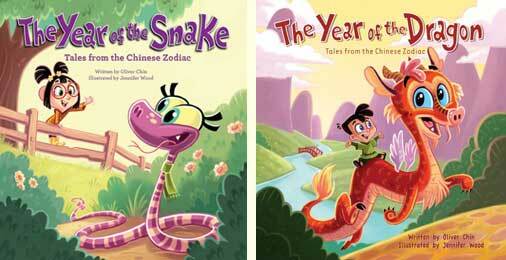 The latest two offerings in Oliver Chin’s series of Tales from the Chinese Zodiac, this year’s The Year of the Snake and last year’s The Year of the Dragon are welcome additions to this imaginative menagerie of endearing characters, whose stories embody the chief characteristics of each animal of the Chinese Zodiac in turn. These are also tales of friendship and finding a place in the world. In The Year of the Snake, Suzie, a beautiful pink little snake, leaves the coiled mass of her ‘tightly knit family’ (there’s lots of wordplay like that to enjoy throughout the story) to explore the outside world. She makes friends with a little girl Lily, much to Lily’s grandparents’ initial disgust – but Suzie soon shows herself to be exceedingly versatile and useful to have around, not just for chores but even for saving the whole village from a “wild tiger”. When the perceived threat turns out to come from elsewhere, Suzie still proves herself to be as “decisive” and “clever” as a snake is supposed to be – as we learn in the back matter that records a snake’s attributes, as well as some of the years in which the Year of the Snake falls. Children will delight in all the ingenious ways Suzie helps out – and it can be no accident that Chin has created a story that resonates with “s” sounds, just perfect for reading this snake story aloud. 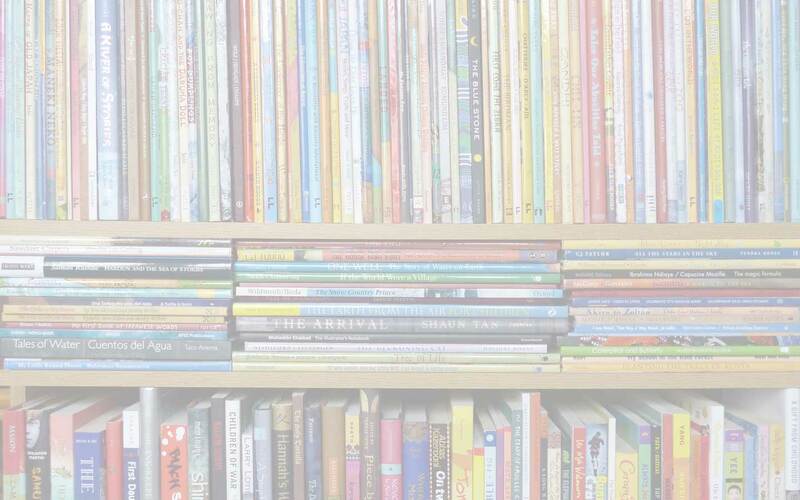 In both these stories, the baby reptiles don’t quite follow their parents’ expectations – something that is likely to be noticed more by adults than the children they share the book with, but it does add a realistic dynamic to their fantastical settings. The characters that Suzie encounters, as well as Dom’s friends, are all the other animals from the Chinese zodiac, and young readers will enjoy picking them out in the illustrations all the way through the books, especially where they appear by chance in the background. These two books bring a new illustrator to the series, animation artist Jennifer Wood. Her illustrations are adorable and filled but uncluttered with detail. A frontispiece provides an introduction to Chinese New Year, surrounded by the twelve animals (plus their Chinese character) as they appear in the book – this also provides for immediate comparison between the different but equally attractive styles Wood has adopted for each cast list, as it were. This review first appeared here on the PaperTigers.org website in February 2013. Immedium, Jennifer Wood, MWD book reviews, Oliver Chin, Tales from the Chinese Zodiac Series, The Year of the Dragon, The Year of the Snake. Bookmark.